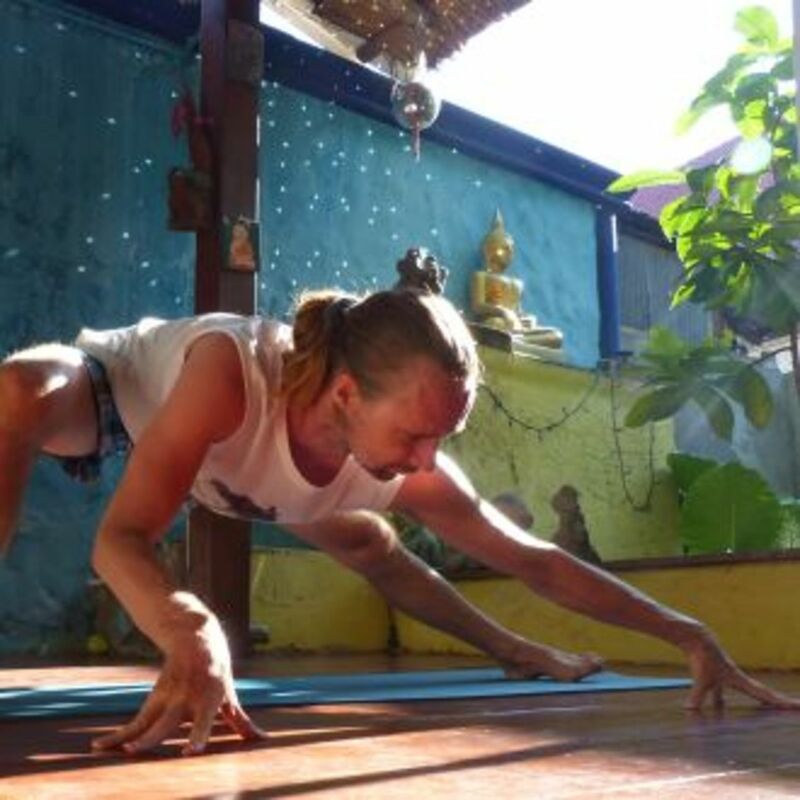 Remco is teaching Thai Massage, body work, Addominal Chi Massage (Chi Nei Tsang) and Yoga for more then a decade. Over the years he developed a style where body mechanisms, movement, awareness and a listening/mindful touch plays a center role. In all his teaching he tries to inspire his students to be more fluid, more intuitive, creative and to improve their quality of touch. Over the years he helped many students to become better and more successful therapist and yoga practitioners. His own Journey started 20 years ago when, after a career in advertising, he moved to Asia (Nepal, India, Thailand) and emerged himself in Buddhism, Yoga and Massage. His first massage training, 20 years ago, was zen shiatsu, which incorporates a lot of movement and rocking. After that he intensively studied Thai Massage. Although he studied with many teachers his main inspiration was and is Master Pichette. Over the years Remco started to bring more and more movement and rocking in his massage also inspired by other practitioners. He developed a very fluid, intuitive and free flowing style which resonates with lot of students and clients. A style which is dynamic, fun and joyous. He practices yoga for more then 20 years and did a great variation of yoga training from Shivananda to Vinyasa. Although he is not limited to any lineage in all his teaching he places a lot of attention to right body mechanism, body awareness and mindfulness. At the moment his main inspirations are Sadie Nardine and Dylan Werner. Remco guided many students both beginners and massage therapist (with many years of experience) to become good (Thai) Massage Therapist, Chi Nei Tsang practioners and received incredible feedback from his students. In his experience massage, yoga and meditation are integrating beautifully together; practicing one deepens the knowledge of the other and vice versa. He would love to teach you.